Last season was always going to be a transitional one for the Denver Nuggets, but its eventual form was something more like a delay. First-year head coach Brian Shaw was brought in to improve the Nuggets' defense and make the already excellent offense more formidable in the halfcourt. 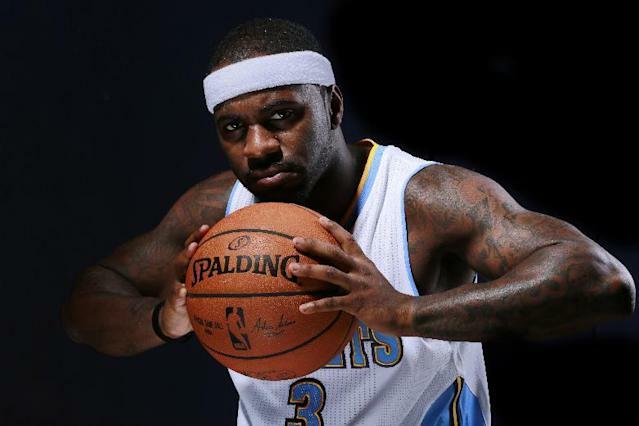 He never really got a chance to do any of those things to their full capabilities, though, because so many key players missed time — Ty Lawson (62 games played), Wilson Chandler (62), JaVale McGee (five), and Danilo Gallinari (a big fat zero, although that was mostly planned) missed enough time to make the Nuggets' 36-46 record somewhat understandable. With all players back and ready to contribute, it's not nuts to imagine the Nuggets doing enough to earn a respectable playoff seed in 2014-15. However, claiming that the Nuggets were simply felled by bad fortune obscures some real issues for the club, many of which relate to Shaw. While well-regarded assistants often succeed immediately, it's not especially clear that he's the guy to usher the Nuggets into a fresh era. For one thing, Denver didn't actually play at a substantially slower pace under Shaw (third-fastest in the NBA) than in George Karl's last season (send) — actually their games featured about three possessions more on average. Nevertheless, the team's rankings fell considerably, from fifth in points per possession to 16th and 11th in points allowed per possession to 21st. The losses of the aforementioned injured players and 2013 free agent Andre Iguodala explain many of those dips, but it's difficult to explain them away via growing pains when the team's approach didn't really change all that much. It's possible that the Nuggets just weren't very good. Their ability to get better will depend on a few factors. Lawson, the unquestioned engine of the offense, must stay healthy. Gallinari must return from his ACL tear relatively intact and able to play 30-plus minutes regularly. McGee must move on from "possible future All-Star" to "good player." Shaw must figure out a way to organize the defense in a functional way. Players must step up. Etc. If it's not clear, there are a lot of issues yet to be determined. This team could be really good or really bad. Its place on that spectrum could decide Shaw's future and determine if the Nuggets will prepare for another transitional period before the current one even gets started. A bunch of guys got injured and very little was solved. Yes, if only because Gallinari and McGee are ready to start the season. Otherwise, the return of one-time Nugget Arron Afflalo at shooting guard should be a big help, because they lacked a capable scorer and defender at shooting guard following the loss of Iguodala. It's unlikely that Afflalo will match the 18.2 points per game he put up on a limited Orlando Magic team last year, but he has proven that he can carry responsibility. Elsewhere, 16th overall pick Jusuf Nurkic could contribute as a defensive and rebounding presence inside, but at 20 years old, it's likely he needs some seasoning and adjustment to the American game before he can be a big factor. Afflalo earned a reasonable amount of All-Star consideration last season, but it's a fair bet that won't happen again this February. Nevertheless, he will be very important to the Nuggets as a scorer and especially defender. This team really missed Iguodala's defensive versatility and ability, to the point where a poor man's version of the same would be a meaningful upgrade. Afflalo can be that at the very least. His improvement as a scorer is not to be discounted on a team that has thrived with a balanced attack. Health, in 2013-14, but with a little bit more luck this year, it won't be such a big deal. Instead, it seems fair to wonder if the Nuggets lack the defensive talent necessary to succeed at a level that justifies the expectations both put on and created by Shaw. Lawson is quick but only 5-foot-11, Afflalo may not be as good as his reputation at this point (he also blocked a mere three shots in 2013-14, which suggests diminished athleticism), McGee is coming off a lost season and needs to prove a lot to win the faith of the staff, and no other players on the roster seem to stand out as potential lockdown guys. Shaw may yet prove to be a master tactician, but as of right now we don't know if he can do it. McGee is famous for his boneheaded mistakes on the court, but he is perhaps just as well known for inspiring commentators to state that there is no ceiling on what he might accomplish in his career. At some point, though, we have to start rating players on what we've seen rather than what they might do. Six seasons into his career, McGee has never averaged more than 28 minutes, 11.5 points or eight rebounds per game. His per-minute numbers and fantastic blocked-shot stats entice, but he's never evinced the consistency required of the league's best defensive centers. We know that McGee has talent — that has never been in question. He needs to get to a point at which analysts discuss his contributions and not the number of All-Star teams he may eventually reach. In many ways, Lawson has already broken out — he was able to average 17.6 points and 8.8 assists per game in a season that didn't always appear to be one of his best, which speaks to his dangerousness in the open court and growing ability as a floor leader. For Lawson, to reach the next level, though, a few things will need to happen. Most notably, he must stay healthy and avoid missing 15 games or more for the fourth time in his six-year career. Second, he must boost his shooting percentage from last year's career-low 43.1 percent back to the near-50 percent marks that typified his prior stats. Lawson is effectively the face of the franchise already, but it's up to him to make that status unquestioned. Lawson makes a leap, Gallinari returns with no issues, Afflalo contributes in all facets of the game, McGee becomes one of the NBA's 10 best centers, and Shaw leads the Nuggets back to the playoffs. Lawson shows that he has already reached his ceiling, everyone who seems at risk of injury misses 15 games or more, Afflalo suggests that last season was an outlier, McGee is as inconsistent as ever, and the Nuggets sputter to another mid-to-late-lottery finish.